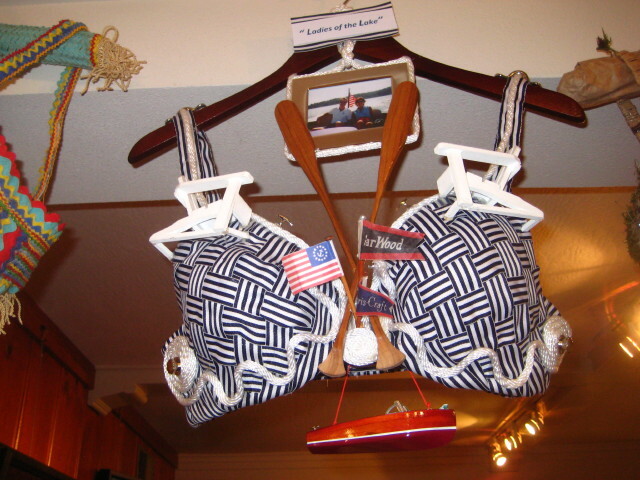 October is National Breast Cancer Month: ARTFUL BRA CHALLENGE! All four of us girls at the store decorated a Bra for the "ARTFUL BRA CHALLENGE" that is a charity event sponsored by the soroptimists that raises money to pay for mamorgrams, for women who can afford them. Our decorative creations are hanging in the store at the moment and are included in he Blue Jay "Quilt Walk" event. 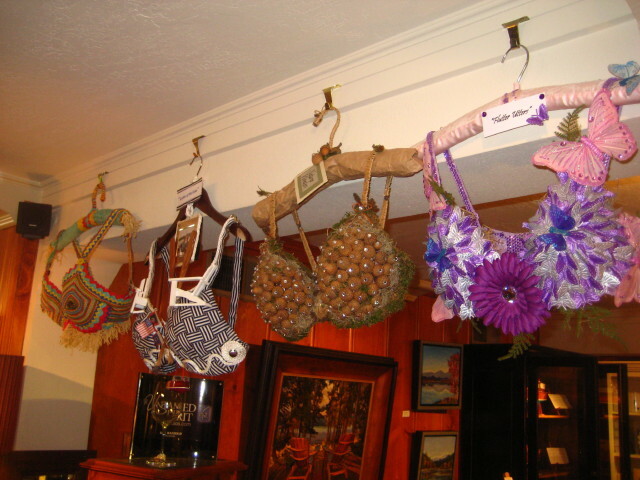 They raise money by taking "votes" for the best Bra..each vote is $1...no limit to number of votes anyone can buy! All of us at the store have been personally effected by Cancer, so we felt it would be fun to support such a good cause.